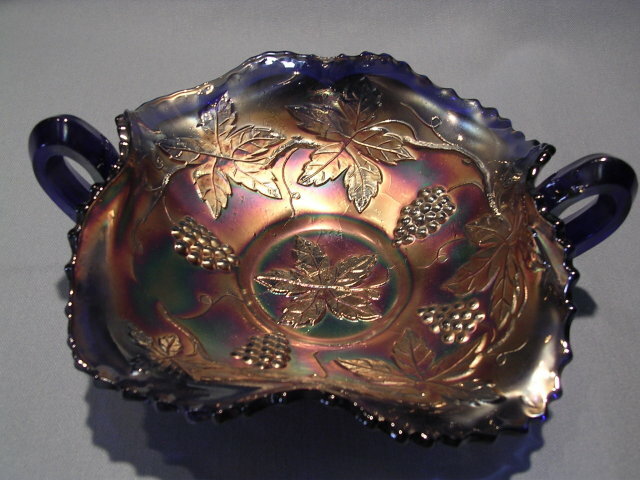 Beautiful Dugan Cobalt Blue Square Handled Bon Bon Dish done in the "Vintage" Grape pattern.The color is deep and the piece has very nice iridescence. The edges are scalloped . 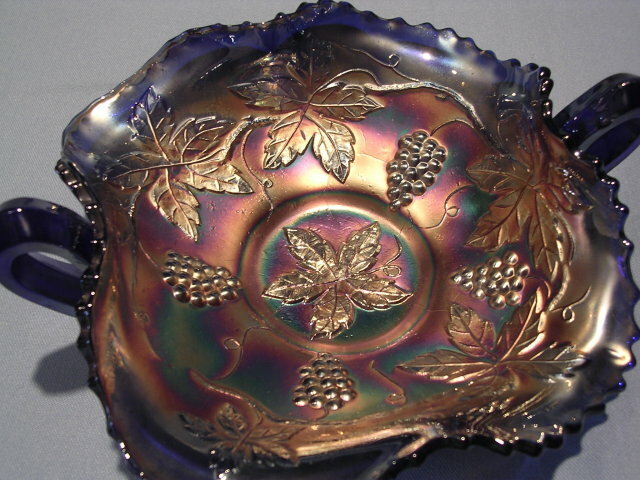 This pattern was also produced by Fenton and also called Vintage. In excellent condition with no chips, cracks or repairs. Items Similar To "DUGAN VINTAGE GRAPE BLUE CARNIVAL GLASS SQUARE BON BON"